Contact Cutler Ridge Accident Lawyers Gerson & Schwartz, P.A. Have you or a loved one sustained personal injuries in a Cutler Ridge slip and fall accident? You should know that you are not the first one getting injured there. 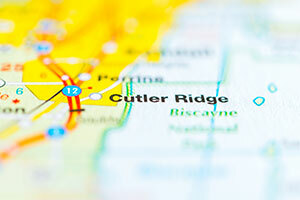 We represent slip and fall victims in Cutler Ridge and throughout Miami for more than four decades. We know that these accidents occur more often than many people would think. The injuries slip and fall victims in Cutler Ridge suffer include spinal injuries, brain damage, neck and back injuries, broken bones, broken wrists, bruises, hematoma, and worse. Our slip and fall lawyers for Cutler Ridge injury victims may recover financially for their medical bills, medical devices and medication bills, lost earnings if they couldn't go to work due to the injury, loss of financial support as well as compensation for pain and suffering. You may be entitled to recover other damages, too. It will depend on the circumstances of your Cutler Ridge slip and fall accident. If you want to be properly and fully compensated as you deserve, then you'll need to prove that you were injured in a slip and fall accident that occurred due to someone else's fault. Maybe you think that you can do it yourself, but we advise you to seek professional legal help first with our Cutler Ridge slip and fall lawyers in your free consultation. It can be a long and potentially dangerous road to represent yourself for your Cutler Ridge slip and fall accident. There are many things that you must do correctly to avoid the insurance company from taking advantage of you. The do-it-yourselfers usually fail to take care of all the details; hence they end up losing money while trying to save on lawyer fees. Don't be that person. Call an experienced Miami personal injury lawyer and set yourself on the right path to damages compensation. Here at the Miami personal injury law firm of Gerson & Schwartz, we handle cases on a contingency basis to keep it at no cost for folks who cannot afford to pay before getting compensated. You can speak with our Cutler Ridge slip and fall injury lawyers with free and no-obligation consultations at (305) 371-6000. Cutler Ridge is an incorporated town in Miami metropolitan area and Miami-Dade County. The town as we know it today was incorporated after the devastating consequences of Hurricane Andrew in 1992. Some unincorporated areas were added to the existing town of Cutler Ridge and made a new town, which is officially called Cutler Bay. However, people are not used to calling it Cutler Bay, so Cutler Ridge remains the most commonly used name for the town. More than 44,000 people live there. Around 38% speak Spanish as a first language, which makes for a significant Hispanic community. Cutler Ridge on its east side is divided with the Atlantic by the Biscayne National Park. Palmetto Bay is on the north, West Perrine, Goulds, and South Miami Heights are located on its western border, while Lakes by the Bay is on the south. If you have been injured in any kind of slip and fall accident in or around Cutler Ridge or Cutler Bay, then make sure you call the Cutler Ridge slip and fall lawyers at Gerson & Schwartz for free advice at (305) 371-6000. We never ask for fees unless we recover for you. You should get the answers you need so you can determine whether some potential defendant should be held responsible for your Cutler Ridge slip and fall injury. Don’t delay – call us today.